Their dream coupled with their extra-ordinary perseverance has taken WittyFeed to dazzling height of success. As it stands today, WittyFeed is the world’s second largest viral content company in terms of traffic. This simply means that today no other viral website, except for global leader Buzzfeed, gets as much traffic as WittyFeed does. 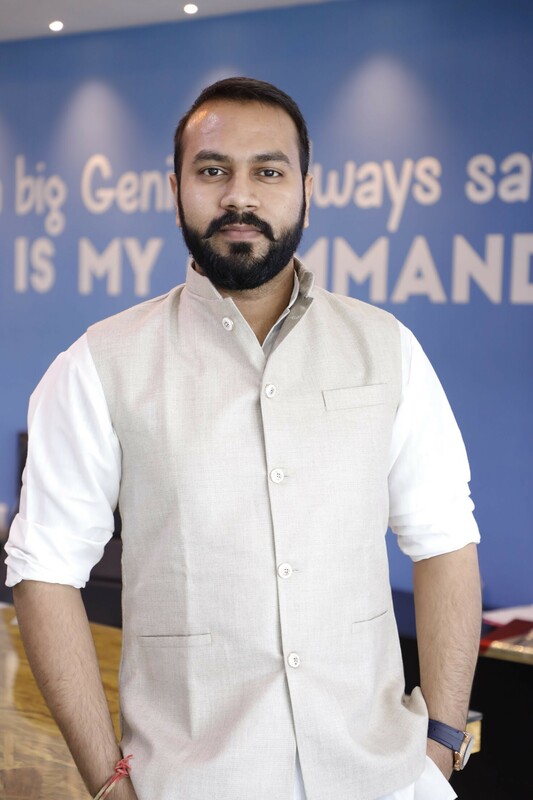 To know more about this and other factors affecting Wittyfeed as well as the viral content industry, Techpluto spoke with WittyFeed’s co-founder & Coo Shashank Vaishnav. Q1) WittyFeed’s rise has been quite meteoric. What, according to you, are some of the key factors that helped WittyFeed to emerge as the world’s second largest viral content company in such a short span of time? One thing I’ve learned in my business career is, things don’t go as you plan. You can always tackle uncertainty and think of contingencies prior to the outcome. Not saying that it will be a full proof plan but, it helps in at least maintaining the balance in some time than shattering down to the floor in pieces altogether. In the content ecosystem, it always comes as a mandate to come up with new ways and always head in the north direction – growth’s direction. In current times, your business is represented by your website. It means to have a perspective as to how the outer world works other than the coding part, have knowledge of the real-world experiences of people and how a customer uses the product. To make sure that the customer experience doesn’t become a reason for failure, we know to get faster results in the shortest possible time – results which can be measured quantitatively. Q2) WittyFeed.com recently changed to WittyFeed.tv Why this sudden change from text to video format? Today, as video is watched on smart phones and laptops rather than on living room couches, the .tv suffix is the best fit for our Audience i.e. Millennials. This was one of the main reasons we decided to shift ourselves to a much easy to remember and brand able domain name. Q3) Websites like WittyFeed and Buzzfeed primarily earn through content marketing. Is there any other non-traditional revenue stream that the company is seriously trying to explore? The ups and downs have never pulled us down, the only reason competition or drawbacks couldn’t hold us back from growing is our mindset of never stopping, being resilient. Talking about non-traditional revenue streams, I don’t run with the blinds on in order to come up with ways which would help us grow exponentially and keep us ahead of our competitors. With our recent product “OneFeed – A unified feed of Undiscovered, Informative and Entertaining Content!” our own unique distribution channel of content has helped us stay in the lead, making users fall in love with their app, reduce ads, and still make money! Q4) How much is WittyFeed influenced by Buzzfeed in terms of business model? I am asking this because many people refer WittyFeed as India’s Buzzfeed? We consider ourselves to be the competition of our future self and adapt to our success faster than we make mistake. Don’t know about BuzzFeed’s business model but the moment we see one of your well-thought experiments working, we start thinking about the next step before the trajectory starts to diminish. And, the same goes for the experiment which comes at the cost of our growth, we shift to a newer tactic and adapt. It’s not a money game, it’s not a mindset; it’s purely your skill set. Never invest financially because we’re living in the times where the most low-cost alternative gets you the maximum results. Lastly, like any business, retain your customers else your growth will fade away sooner than you expect. Q5) Consumption of viral content seems to be growing phenomenally in Tier 2 and Tier 3 cities, where consumption of English language is relatively low. What is WittyFeed doing to tap into these promising markets that are mostly dominated by regional languages? Adopting vernacular languages is the step which we’ve already implemented with our Intellectual Property – Dunia Digest. Our video production team connects with our prospective user by creating videos with a native essence. One of the videos which people relate to most is “When you have a Bihari roommate” Series which tends to touch and create an impact on a wider spectrum. Q6) How has the audience or browser’s consumption of viral content changed since WittyFeed entered the scene in 2014? In the initial days when we gathered a good number of followers on our pages and started posting links, there came a time when 700-800 people would instantly click on our links and website’s traffic would spike. That was the time when we first realized that a good profile and content can fetch a great number in terms of traffic. It was later that, we thought of optimizing the process and created multiple pages on Facebook with different interests our audience shares. Today, we manage more than 20 pages which makes a gateway for 100 MM+ Internet Users to visit our websites along with our network of affiliates (cumulatively). Q7) Can you please shed light on WittyFeed’s current traffic data? WittyFeed is the fastest growing content marketing platform in India, with 15MM+ Sessions monthly on an avg. Q8) After spending so many years in this industry, do you think there is any fixed or unfailing formula that can help any content to go viral? We constantly monitoring factors such as CAC, CPM, CTR, increase in LTV to help us understand what kind of content is preferred by our audience mix and where are we going wrong. Being a content platform, we’re constantly required to improve the content we write and there have been instances when we saw a 30% decline in CAC making us believe that we’re on the right track. Talking about unfailing formulas, we come up with different ideas to compile a story, from impressive images to informative content. The stories are written to educate readers along with keeping their entertainment in mind, creating content pieces through multiple media formats to engage them in the best way possible. We also choose to go with Progressive Web App (PWA) design which is best for providing readers with a better interface on a desktop/laptop as well as mobile. To strengthen the technological front we make use of Akamai Technology for content delivery network and availing cloud service. Q9) WittyFeed had raised seed funding in 2017. Any plans to raise more funding in the coming years? Q10) Your projection for WittyFeed for the next five years? It’s all about getting the results as fast as possible. This means, there’s no long-term plan in place. We keep our marketing goals linked to sales objectives, money matters! Technology plays a major role in the progress and I say it because the Internet world has an infinite reach and it will always be out of your grasp. I prefer to make a new projection everyday and think of what tomorrow holds for me rather than thinking about where would I be tomorrow. From using assessment tools to reaching out to your target audience, technology has a pivotal role everywhere. I intend to be unconventional in the next five minutes, and every minute after that. Our vision is to build products, sell services, and never stick to a set of principles in any way to yield extraordinary results.